North Jersey Brain and Spine Center, Hackensack University Medical Center, Hackensack, N.J.
Saint Barnabas Medical Center, Livingston, N.J., Hackensack University Medical Center, Hackensack, N.J.
Postgraduate Training, Neurosurgical Internship. Saint Barnabas Medical Center, Livingston, N.J.
Postgraduate Training, Residency. Saint Barnabas Medical Center, Livingston, N.J., Department of Neurosurgery. Hackensack University Medical Center, Hackensack, N.J.
Chief Neurosurgical Resident. Saint Barnabas Medical Center, Livingston, N.J., Hackensack University Medical Center, Hackensack, N.J.
Endovascular Neurosurgery Fellowship. 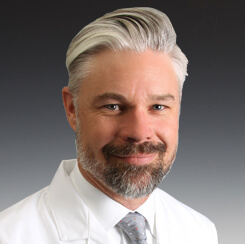 Mentor Daniel Walzman, M.D. North Jersey Brain and Spine Center, Hackensack University Medical Center, Hackensack, N.J. Associate Neurosurgeon. North Jersey Brain and Spine. i.Society For Neuroscience Abstracts 29: 507.5. New Orleans, LA. Conrad, C.D., Wright, R.L., Harman, J.S., Bellani, R., Hobbs, R.J., Grote, K.A., & Lyon, B. (2003). Acute stress reduces context discrimination, a hippocampal-dependent task. ii.Society For Neuroscience Abstracts 29: 507.4. New Orleans, LA. Wright, R.L., Harman, J.S., Bellani, R., Baran, S.E., Jackson, J.L., Kleen, J.K., McLaughlin, K.J., Tsekhanov, S., Zackow, K., & Conrad, C.D. (2003). Chronic stress and hippocampal lesion impair Y-maze performance when salient internal cues are absent but not when salient internal cues are present. iii.Society For Neuroscience Abstracts 29: 507.3. New Orleans, LA. McLaughlin, K.J., Baran, S.E., Wright, R.L., Jackson, J.L., Kleen, J.K., Bellani, R., Harman, J.S., Wieczorek, L., Tsekhanov, S., & Conrad, C.D. (2003). Ovariectomized rats exposed to chronic stress show functional spatial memory regardless of estrogen replacement, whereas controls are impaired with estrogen replacement. iv.Society For Neuroscience Abstracts 193.2.2004. San Diego, CA. McLaughlin, K.J., Wright, R.L., Baran, S.E., Kleen, J.K., Harman, J.S., Lightner, E.N., Gomez, J., Ellis, M.M., Hamilton, G.F., & Conrad, C.D. (2004). Chronically stressed ovariectomized females show CA3 hippocampal dendritic retraction. v.Society For Neuroscience Abstracts 193.1.2004. San Diego, CA. Baran, S.E., Jackson, J.L., Wieczorek, L., Harman, J.S., Wright, R.L., Lightner, E.N., McLaughlin, K.J., Korol, D.L., & Conrad, C.D. (2004). Spatial memory is impaired in male, but not female, rats following acute stress: Influence of the estrous cycle. vi.Society For Neuroscience Abstracts 316.3.2004. San Diego, CA. Wright, R.L., Lightner, E.N., Bellani, R., Harman, J.S., & Conrad, C.D. (2004). Chronic stress-induced spatial memory deficits are prevented my metyrapone treatment on the day of behavioral assessment. vii.Wright, R.L., Harman, J.S., Hajo, R., Gomez, J., & Conrad, C.D. (2006). Environmental enrichment prevents chronic stress-induced spatial memory deficits. Society for Neuroscience Abstracts, 32, 811.11.
viii.McLaughlin, K.J., Wright, R.L., Harman, J.S., Hajo, R., Gomez, J., & Conrad, C.D. (2006). The effects of chronic stress and chronic estrogen on female rat spatial ability. Society for Neuroscience Abstracts, 32, 564.8.
x.Harman, J.S,, & Conrad, C.D. (2007). An analysis of chronic restraint duration on hippocampal morphology and function. Society for Neuroscience Abstracts, 33, 732.5.
xi.Harman, J.S., Hajoo, R., Gomezo, J. & Conrad, C.D. (2007). 17β-estradiol and cholesterol silastic implants prevent chronic stress-induced CA3 dendritic retraction in ovariectomized female rats. Society for Neuroscience Abstracts, 33, 732.1.
xii.Wright*, R.L., Mclaughlin*, K.J., Harman, J.S., Wieczoreko, L., & Conrad, C.D. (2007). Chronic glucocorticoids increase hippocampal vulnerability to neurotoxicity under conditions that produce CA3 dendritic retraction. Society for Neuroscience Abstracts, 33, 732.6.
xiii.Harman, J.S. and Hubschmann, O.R. (2011). Complex spine reconstruction improves functional outcome in patients with metastatic disease. New York State Osteopathic Medical Society Abstracts. xiv.Harman, J.S., Koziol, J., and Hubschmann, O.R. (2013). Comparison of the complications of instrumented spinal fusion in the elderly and younger population. Congress of Neurologic Surgeons Annual Meeting. San Francisco, CA. xv. Harman, J.S., Hubschmann, O.R., Koziol, J. (2014) Comparison of the Operative Outcomes of Elderly and Younger Patients Undergoing Instrumented Lumbar Fusion. Congress of Neurologic Surgeons Annual Meeting. Boston, MA., November 2014.
xvi.Harman, J.S., Hubschmann, A., Hubschmann, O.R., Koziol, J. (2015). Comparison of the Operative Outcomes in the Elderly and Younger Population Undergoing Lumbar Fusion. American Association of Neurologic Surgeons Annual Meeting. Washington, D.C., May 2015.
i.Dariel Truter Overby Memorial Scholarship. Arizona State University, Dept. of Behavioral Neurosciences. 2004.